Left in a near-catatonic state following the events in Buffy Season 8, Angel will need a seriously rude awakening if hes to make amends for his ill-conceived deeds. 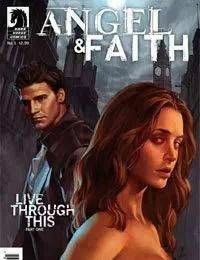 Enter rebel Slayer with a cause--Faith Lehane. Together theyll have full access to the Watcher files and opportunities to make amends for all theyve done . . . and will do.